One of the most famous names in Texas publishing history, The Greensheet was a pioneer in development of the classified shopper over 45 years ago. Long before the Internet, digital printers and Facebook, local advertisers turned to The Greensheet. Now printing multiple weekly editions in Houston, Dallas and Austin, the power of The Greensheet is well known to Texas marketers. Greensheet Media has a long history of generating results by bringing buyers and sellers together in the communities it serves. 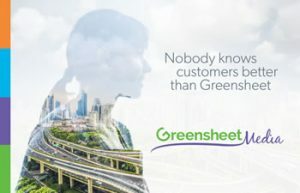 The Greensheet still “Brings You Buyers” as the slogan goes, but that’s only the beginning of the story. Greensheet Media needed a new marketing direction expressed in a campaign tagline and fresh, informative collateral for its sales team. Unlike decades past, these sales pros now have a wealth of marketing tools at their disposal beyond the original advertising shopper. However, the problem is that while the company has grown and expanded its marketing services over the years, most people still think of The Greensheet as only the iconic shopper paper; an understandable mistake and one that the Hallaron Agency was charged with correcting. 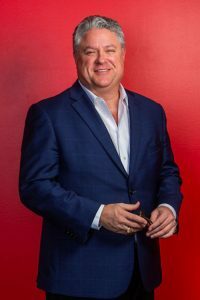 A new message had to re-introduce the Greensheet Media brand while expanding perception of its true value to advertisers. The Hallaron Agency team went to work developing a new strategy after meeting with owner Kathy Douglass and the management team. They wanted to communicate that their sales representatives are actively involved in the communities they serve – on the ground and working closely with clients who need all of the new services Greensheet Media provides, including: custom printing, websites, SEO and Internet marketing, direct mail, email marketing, social media and reputation management. After conducting research and meetings with Greensheet Media, Hallaron began the task of copywriting, experimenting with numerous taglines and searching for the right wording to get the message across. A contemporary tagline to capture the essence of the brand in 2016. Beyond bringing buyers to advertisers through the print shopper, the real value of the Greensheet Media team today is its experience and ability to match complete marketing services to real problems clients face in the marketplace. At the center of this problem is the customer. Advertisers want to reach them in different ways and influence them to purchase. The Greensheet Media team has 45 years of experience with these customers and understands their media consumption patterns, buying habits and shopping preferences. No one in the industry can equal that track record of success. Hallaron’s brilliant new tagline? 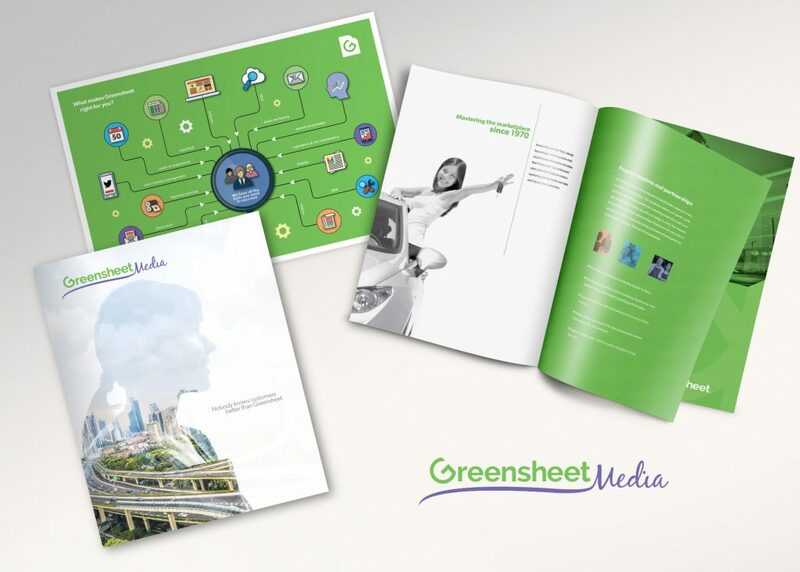 If you’re a business owner and want to reach new customers, then Greensheet Media is your top resource in the community. Hallaron also devised a dynamic new pocket folder with numerous services inserts to arm the sales team. The new collateral showcase gets the message across instantly and introduces the wealth of marketing tools now available at Greensheet Media. Success!